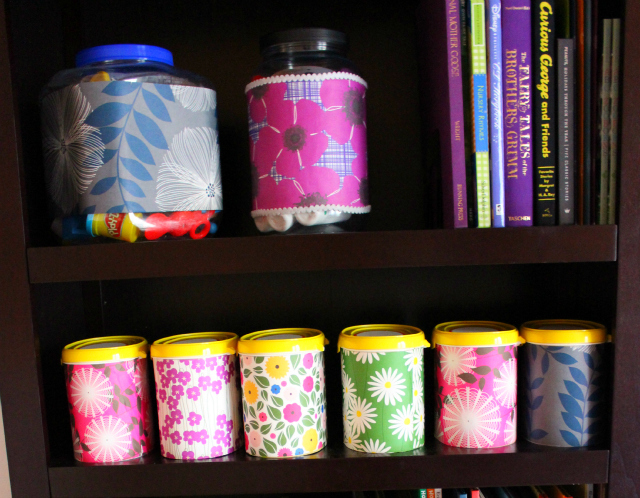 Repurposing baby formula tubs into pretty art supply storage – why not?! 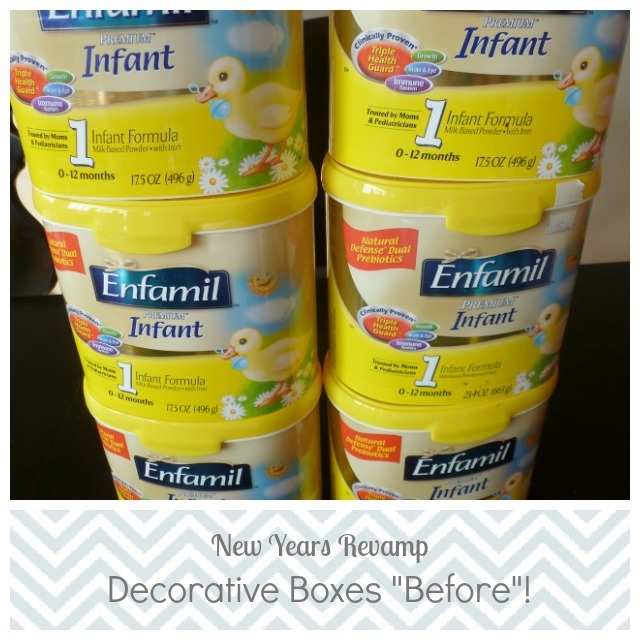 If you’ve had to purchase formula for your child you are probably familiar with these plastic tubs – you end up going through a lot of them! 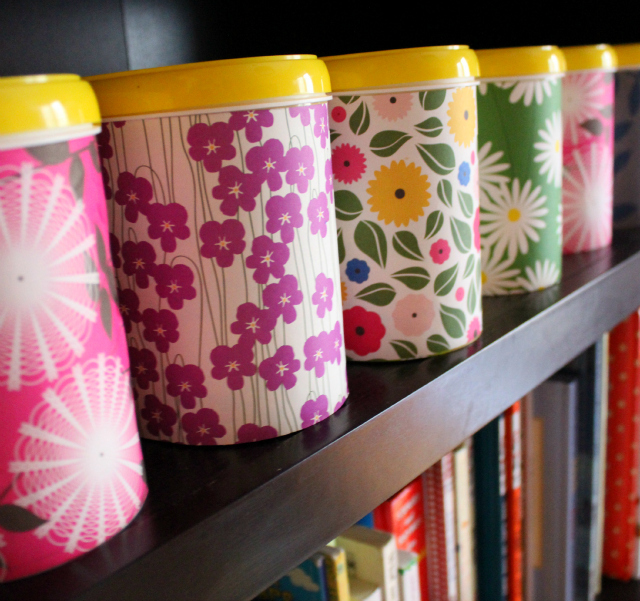 Well, they are pretty sturdy containers with a nice lid that snaps shut, so I couldn’t bear to throw them all away. I’d been holding onto six of them for almost a year when the new playroom gave me a chance to put them to use. 1. Wrap the measuring tape around your container to determine the diameter. Also measure the height of the container. 2. Cut out a piece of paper with these dimensions (give yourself an extra 1/2 inch on the diameter so the paper will overlap a bit when you wrap it around the container). 3. Using spray adhesive (I prefer to do this step outside), spray the surface of your container that you will be covering in paper. 4. Quickly press on the paper, smoothing out any air bubbles. If it is crooked, you can lift and readjust if you act quickly! 5. 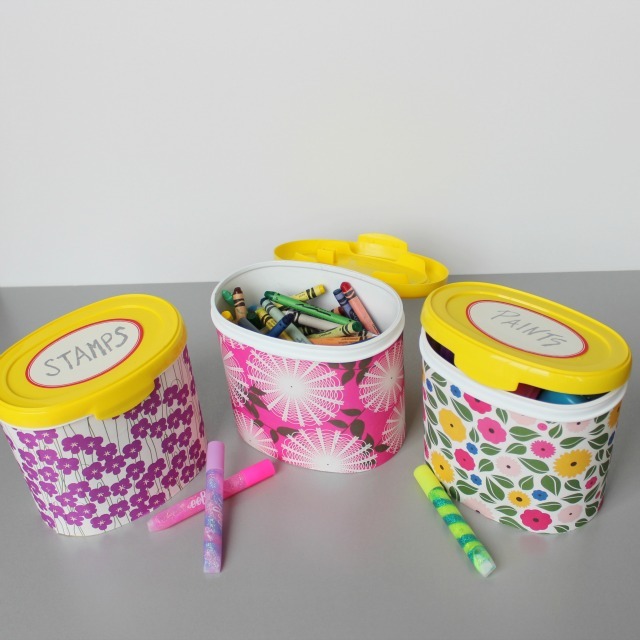 Finish off the container by sealing down the raw paper edge with a strip of clear tape (or pretty washi tape) and a label for the lid that covers the formula logo. 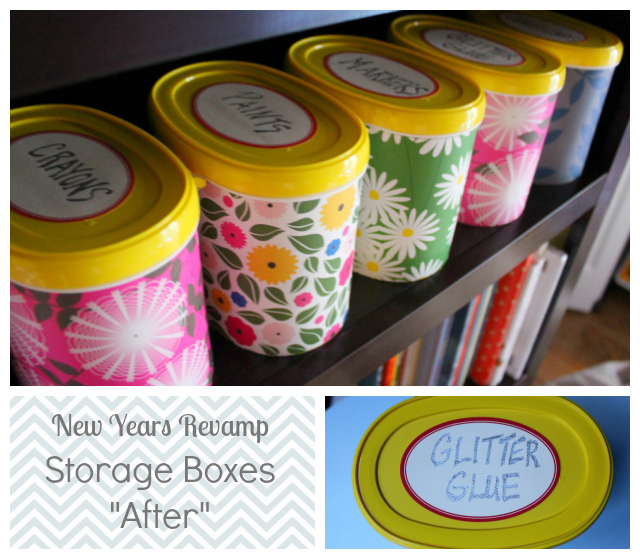 I bet you can find all kinds of plastic tubs to repurpose as pretty storage!